When your phone tells you that the wind chill makes it -2 outside, you stay in. YOU DON'T LEAVE. Unfortunately for me, I have a boyfriend who happens to love the cold. After compromising and staying inside all day yesterday, we ventured out today for shopping, errands, pizza and street art. A day full of love indeed! 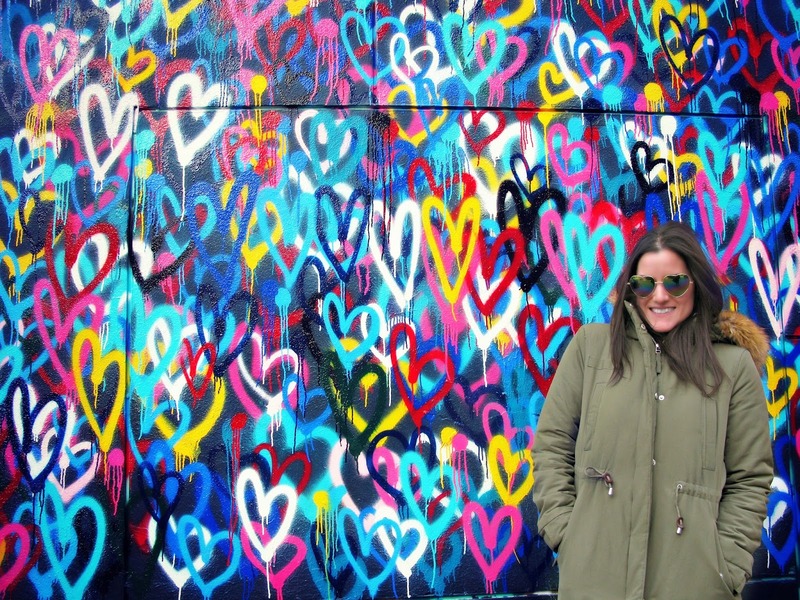 After some shopping in SoHo in the freezing wind and cold, we made our way through NoLiTa and Little Italy to check out the latest street art in the neighborhood. I always love seeing a new Bradley Theodore piece, and Anna Piaggi's pink fur stands out from a block away. I was rebelling against the cold today by wearing white pants. Clearly shown in this picture, the cold is winning. Hey, Anna--can I borrow your scarf?! Also spotted were a few tags by Cyclops. 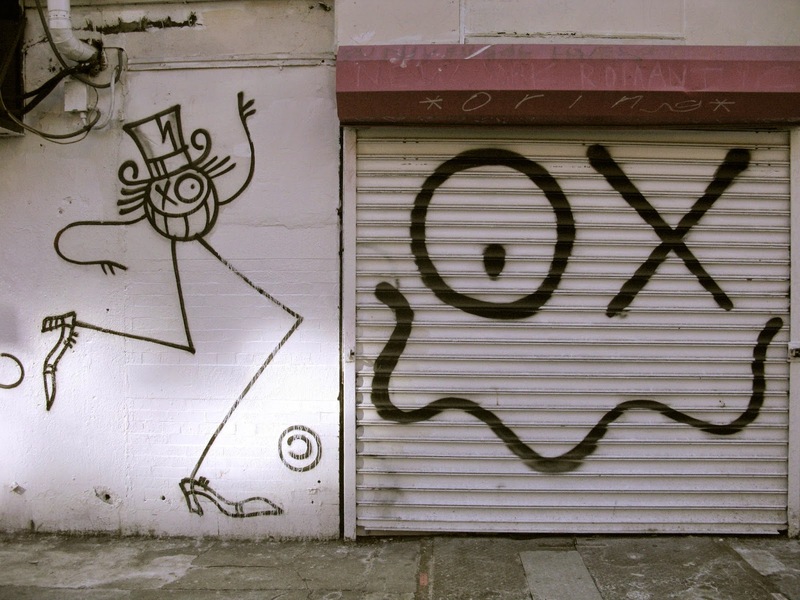 His iconic one eyed figures can be seen all over NYC and London, and interestingly enough I saw him in action last night while watching Banksy's "Exit Through The Gift Shop." The wind was blowing so hard I didn't even want to look up to find any more art. I wanted pizza and I wanted it NOW! Prince St. pizza was the glorious choice of the day, and the steamy pepperoni slice made me feel much better about going outside again. On our way back to the train, we spotted one last piece. 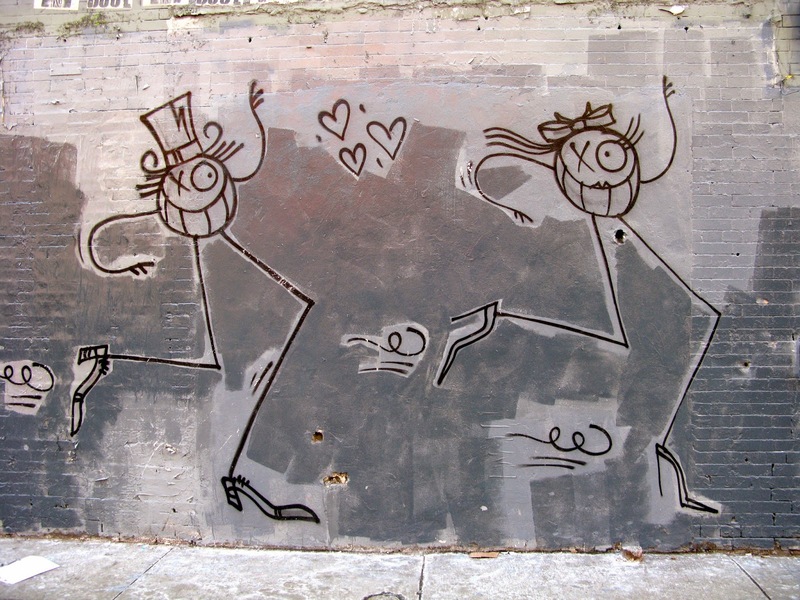 Yeah, a different kind of love but it's love nonetheless, and blends into the streets like it's Fashion Week every week. That's right--the love of shoes! As cold as it was today, (and as much as I complained!) I'm glad I made it out my apartment to absorb some of the downtown romance. From the pizza to the sale at Zara, I am reminded of how much love there is in this city.